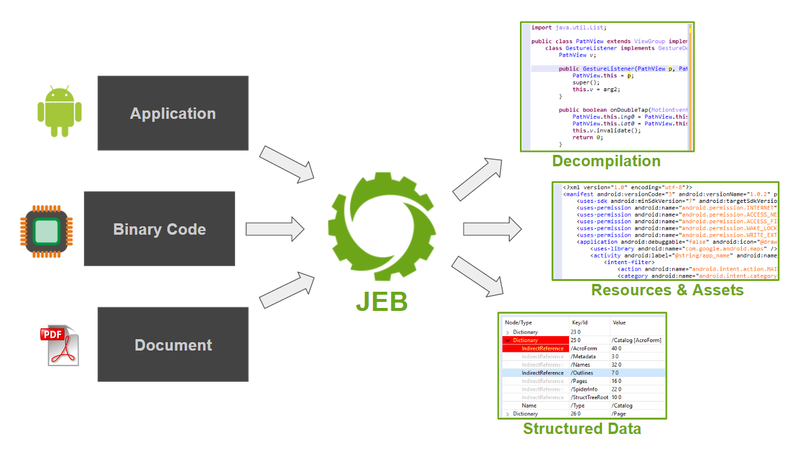 JEB is a modular reverse engineering platform for professionals. Perform disassembly, decompilation, debugging, and analysis of code and document files, manually or as part of an analysis pipeline. Use JEB to analyze Android apps, reverse engineer Windows malware, audit embedded code, and much more.